From the moment the doors opened to the moment the band took to the stage, there was a palpable sense of excitement in the air, and rightly so. 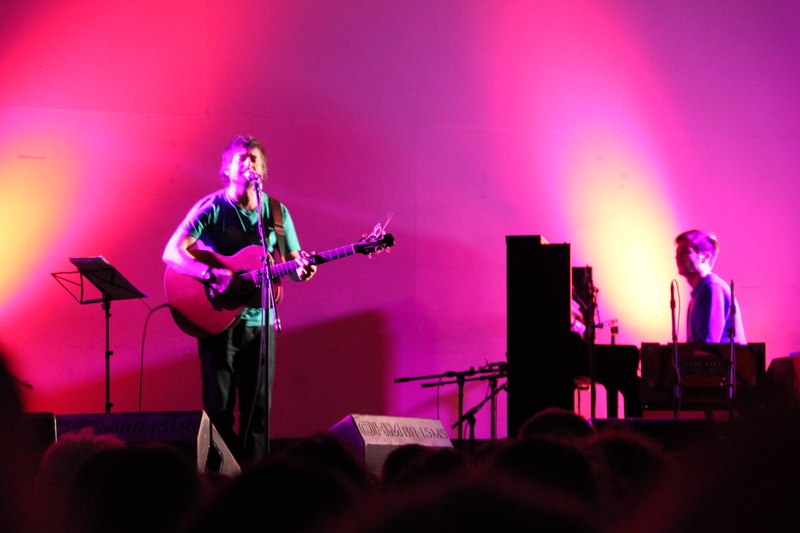 ‘Diamond Mine’, the 2011 album from King Creosote, seems to have finally hit the public consciousness – tonight’s show had already been moved to the larger Central Methodist Hall, and still managed to sell out the venue. Gone was the usual joking from frontman Kenny Anderson, and in its place was a fiercely introspective take on Diamond Mine: the band opened by playing the album in its entirety, pausing only briefly, frequently segueing between songs. From the Eno-esque opening of First Watch, through to the closing lines of Your Young Voice (“it’s your young voice keeping me holding on to my dull life”), the audience hung onto every note. “That was Diamond Mine by King Creosote and Jon Hopkins” shouted Anderson triumphantly. Having got this, the serious part, out of the way, Anderson appeared to relax somewhat, and we were treated to the odd touch of humour. With hindsight, the rest of the set was always going to struggle to match the intensity of the first half, but nonetheless we were treated to a choice selection from the extensive King Creosote back catalogue, some new songs (one so new that Anderson had to refer to handwritten lyrics! ), and a beautiful cover of Tim Buckley’s ‘Song To The Siren’. We at manchestertaper are very pleased with how the recording came out, and we hope you agree.